Below you can view all the homes for sale in the Cooper Lake Estates subdivision located in Smyrna Georgia. 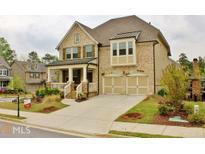 Listings in Cooper Lake Estates are updated daily from data we receive from the Atlanta multiple listing service. To learn more about any of these homes or to receive custom notifications when a new property is listed for sale in Cooper Lake Estates, give us a call at 404-998-4102. 4Th Bedroom With Private Bath And Full Basement W/ Central Heating And Air, Ready To Finish! MLS#6532627. Keller Williams Atlanta Classic. 4Th Bedroom With Private Bath And Full Basement With Central Heating And Air, Ready To Finish! MLS#8559451. Keller Williams Atl. Classic. Excellent Play Spaces In The Front Cul-De-Sac Or The Back Flat Yard. MLS#6527574. Harry Norman Realtors. Fenced Bk Yd Has An Abundance Of Decks For Your Entertaining. MLS#8548001. Live Love Atlanta Llc. Fenced Bk Yd Has An Abundance Of Decks For Your Entertaining. MLS#6523204. Live Love Atlanta, Llc..
Can Join Lake Laurel Swim/Club/Lake Community. MLS#6515745. Keller Williams Realty Partners. Entrance To Silver Comet Trail Just Outside S/D, Neighborhood Pool. Close To 285 & Atl. MLS#6515004. Bhgre Metro Brokers. Huge Unfinished Basement Stubbed For Bath- 3 Car Garage! MLS#6127873. Keller Williams Realty Atl Part. Home Has A Deck W/ Pergola And A Finished Patio Underneath, Fenced Flat Yd. W/ Lake Views. MLS#6125854. Keller Williams Realty Cityside. Professionally Landscaped, Irrigation,Custom Plantation Shutters. Owner/Agent MLS#6113492. Chapman Hall Realtors. Custom Plantation Shutters. Hardwoods Throughout. Owner/Agent MLS#8501305. Chapman Hall Realtors.